Posted June 19, 2014 by finnfemme & filed under Beauty, Daily Life, Fashion, Vintage. I’ve been a subscriber to Birchbox for almost two years now, and delight each month in getting that box filled with cosmetic samples delivered. What can I say? 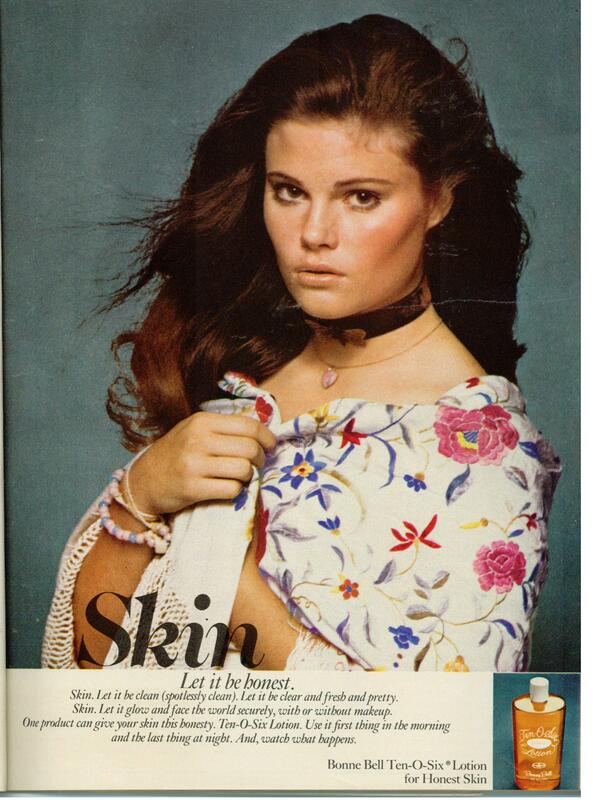 I’ve been a beauty aid junkie since the late ’60s. And when cosmetics come in sample sizes, all the better! I think this sample-size mania started for me when I was a teenager. Since I was an avid teen fashion magazine reader, I was especially engrossed by the advertisements. I loved when companies had special mail-in offers -so enticing! Of course you had to mail in the clipped coupon with your 50 cents or one dollar, and then wait five weeks for delivery; there was a lot of waiting around with resigned anticipation. Definitely not much instant gratification back then. But when the samples finally arrived it was fantastic! Kind of like the little thrill I get to this day when my monthly Birchbox arrives. 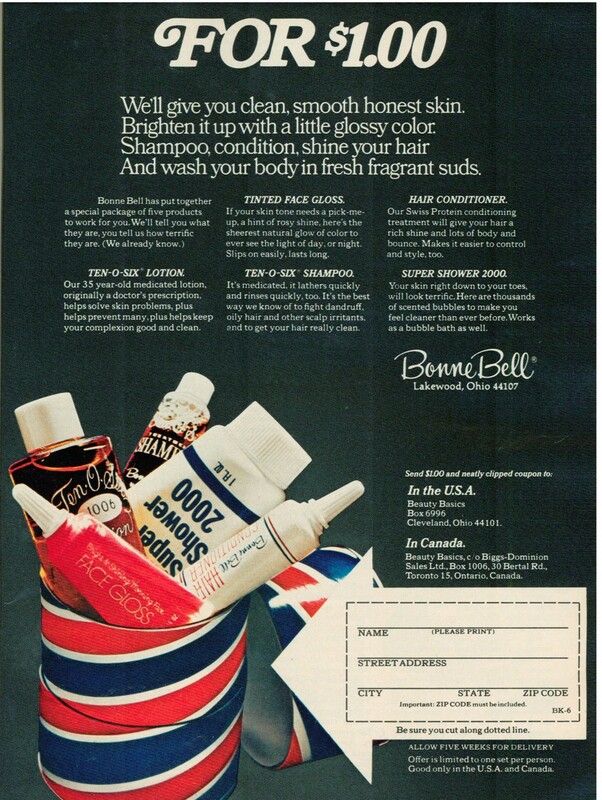 In the late ’60s and early ’70s, Bonne Bell was pretty much the only company that offered a selection of sample sizes that you could order for $1.00. In fact I’m going to go out on a limb and say that they invented the product sampler pack. In this particular ad, the sampler kit contained Ten-O-Six lotion, Tinted Face Gloss, Ten-O-Six Shampoo, Hair Conditioner, and Super Shower 2000. I remember in other kits they contained Bonne Bell Lipstick and the (ubiquitous) White White eyeshadow. I know because I ordered several over the years. I can still remember twisting open that red, white and blue canister and catching a whiff of the signature scent of Ten-O-Six Lotion. 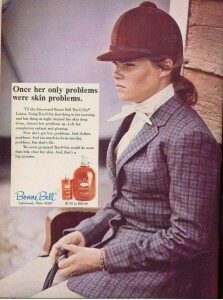 Speaking of which, Ten-O-Six lotion pretty much ruled the skin care market during those years. “Skin – Let it be honest”. I remember washing my face with soap (Neutrogena, Cuticura, or PhiSoHex), and then pouring Ten-O-Six lotion on a cotton ball and scrubbing my face till it stung. Gawd that stuff was strong. And to add insult to injury, the label said to use it a second time with a new cotton ball until the cotton ball was absolutely clean. It was almost pure alcohol, with a tantalizing scent that made it seem like it was doing something. Looking back, no wonder I had trouble with my skin! I think I scrubbed it raw. Thanks for thus post. I used to love those sample kits from BB. Seems they were offered in the January issue, so I’d order in December and get them almost in time for second semester. I am surprised, given all my vigorous scrubbings with Ten-O-6, that my skin is so unlined at 63. Mjohns – Ah, the vigorous scrubbings with Ten-O-6 – know it well. However, having acne from a young age did propel me to pay dutiful attention to skin care all my life. I have very few lines or wrinkles too – thanks Ten-O=6! Just found this while trying to find an original ad for face gloss…..I miss their products so much….I used ten-o-six forever! I had such oily skin…..I love vintage, thrift stores, old movies and everything old!! Haha….I feel like I have found a long lost friend!! Thanks, Christie! There are a lot of us baby boomer kindred spirits out there. I’m just keeping the 60s and 70s spirit going! 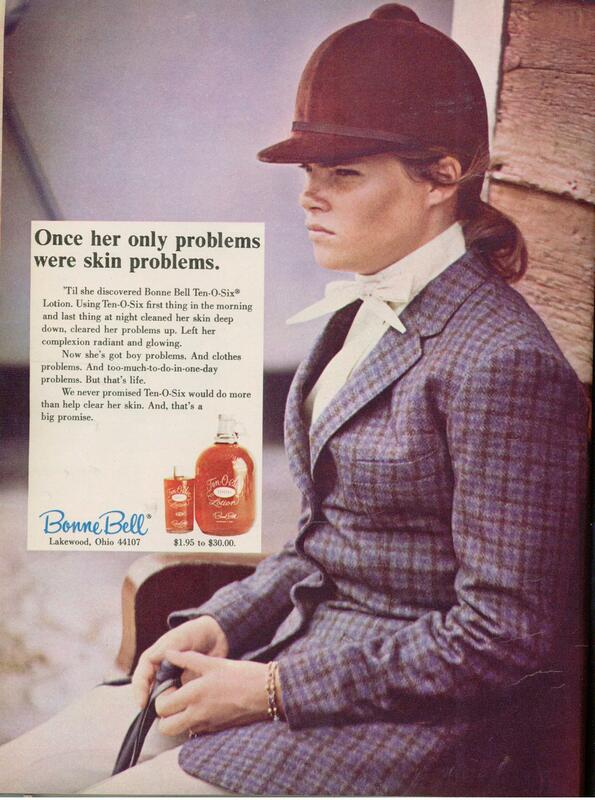 Just thinking about Bonnie Bell today when I used my Neutrogena products and was just wondering what ever happened to Bonnie Bell? I always took time to keep my face clean and use as little makeup as possible. My mom taught me that but she was a Cosmetologist in Nashville, Tn. 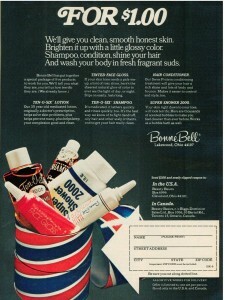 And I always enjoyed getting a little red and blue bucket of the Bonnie Bell cosmetics for teens. It was a really great treat just for me when we went shopping. It was in our Harvey’s Department store in Nashville. I really think that the company should bring it back and target the pre-teen age group so they look natural and clean in appearance. I have just turned 65 and my skin is still pretty and smooth. 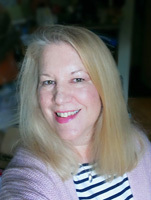 Sure I have a few wrinkles but I am 65. I still have good skin though. Come on Bonnie, you have to be at least 50-60 ish! Let’s see a comeback on these skin care products and a reasonable treat for teens! It is anniversary time for Bonnie Bell to re-start an new program for tweens!!!!!!!!!!!!!!!!! I looooved the b.b. sample container. I’m still looking for the scent of Super Shower 2000. It was the best! !